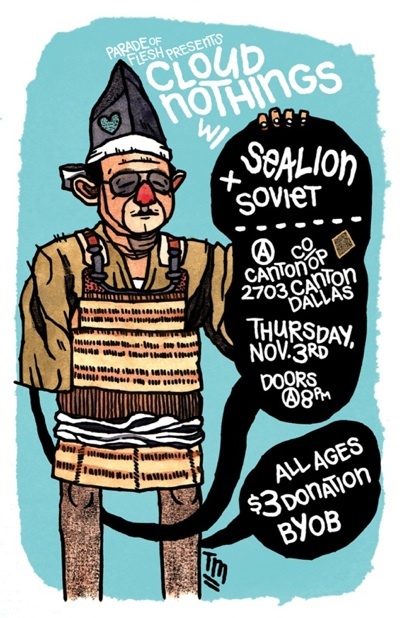 Cloud Nothings, Sealion & Soviet by Taylor McClure from Dentron’s Pan Ector Industries. 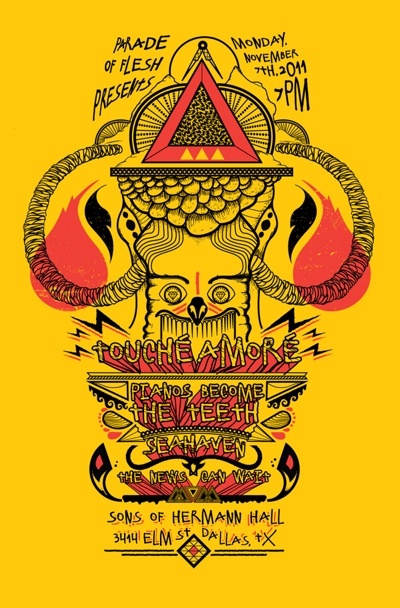 Touche Amore, Pianos Become the Teeth, Seahaven and The News Can Wait by Justin from Wild Method Workshop out of Louisville, KY. 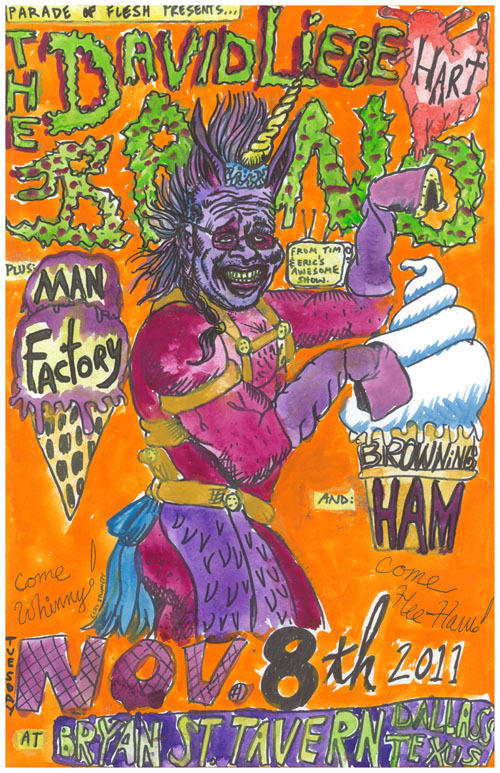 The David Liebe Hart Band, Man Factory and Browningham by Clay Stinnett – representin’ Oak Cliff. 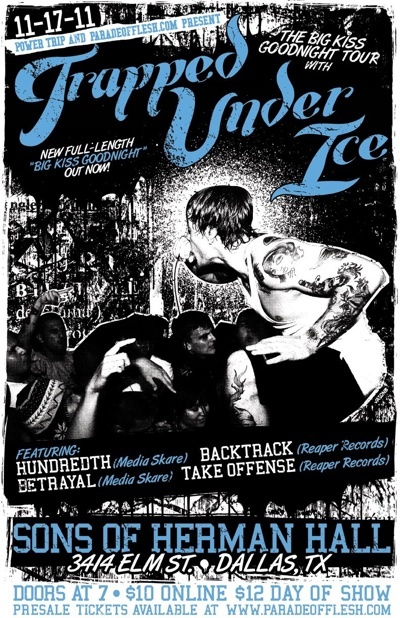 Trapped Under Ice, Hundredth, Betrayal, Backtrack and Take Offense by Melek Taus. This entry was posted on October 16, 2011 at 10:17 am, filed under News.